The weekend already…Yay! Hope you are doing something fun…. 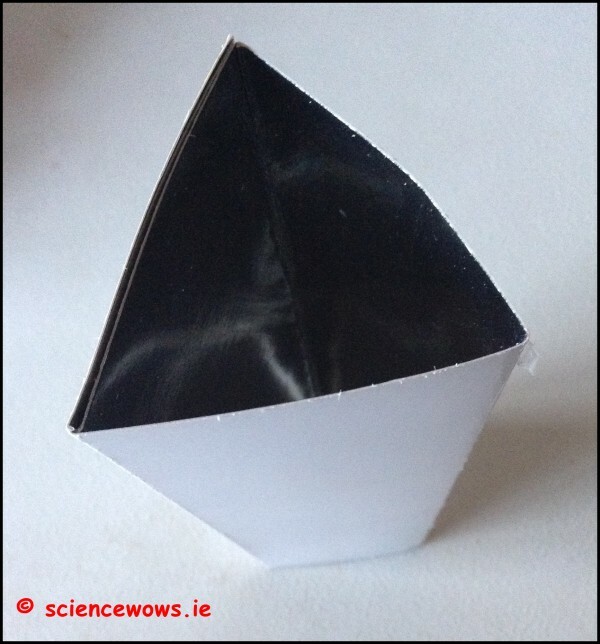 if you are looking for an activity to entertain your children why not try this?… My junior scientists had great fun making these simple kaleidoscopes and learning about light and reflection! 7. 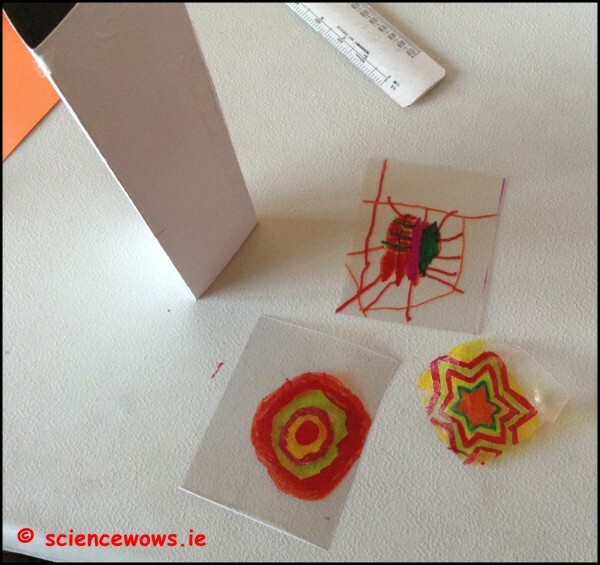 Now it is time to prepare the designs for your kaleidoscope… we used the coloured pens to draw designs on a square piece of clear plastic, at least 6 X 6 cm in size. 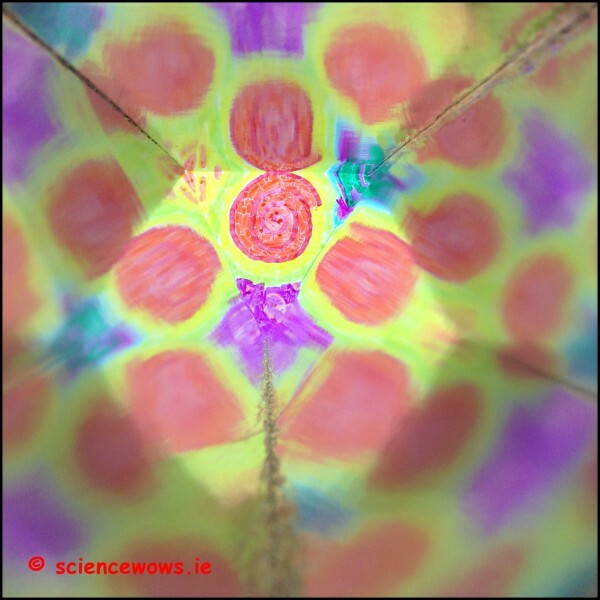 Light travels through the transparent paper into the kaleidoscope where is bounces off each of the three sides before reaching our eyes. 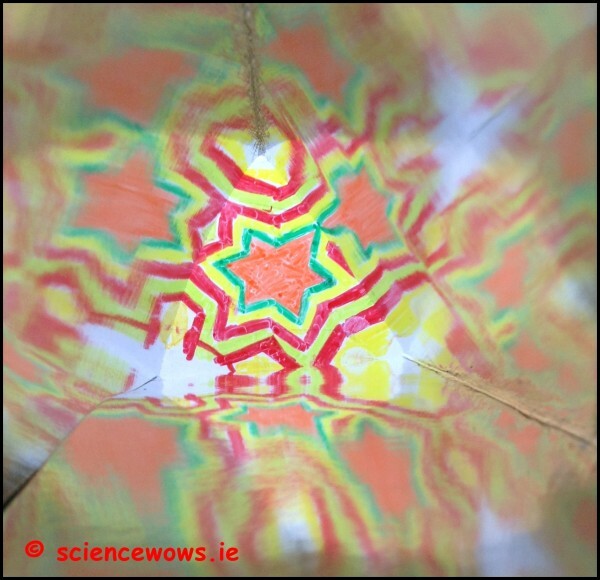 As each side is mirrored it reflects the light that bounces off it and also the light bouncing off the other mirrored sides of the kaleidoscope. All this reflecting makes multiple images of different parts of the pattern and create a very interesting effect. 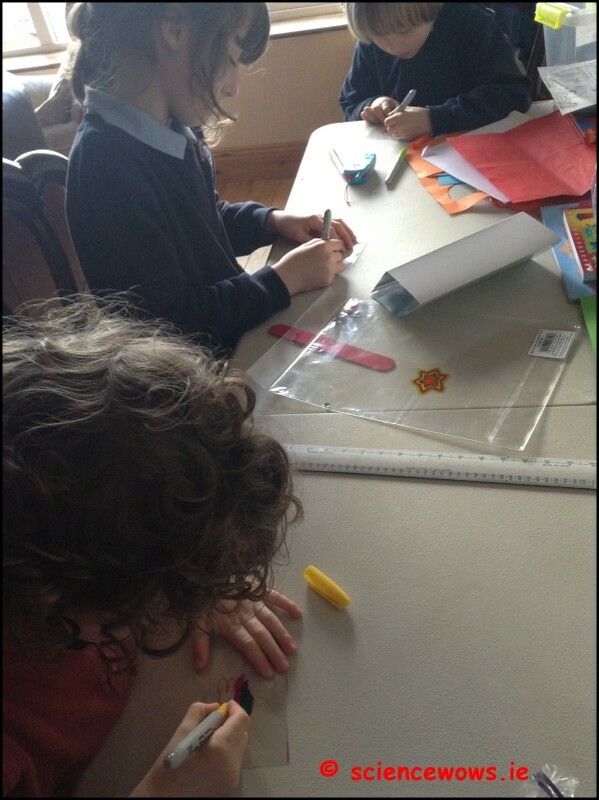 Do have a go it is great fun! 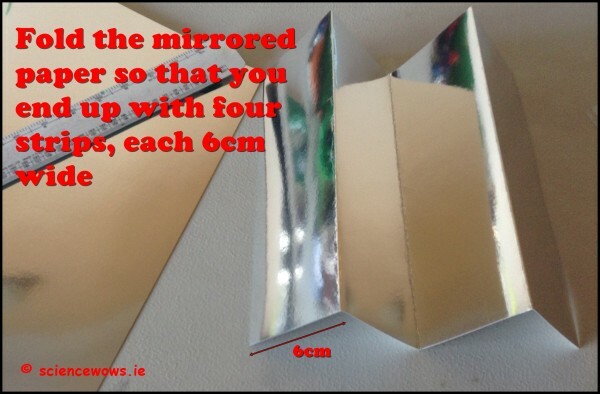 *Note: if you cannot get mirrored card you can use cardboard covered in aluminium foil. 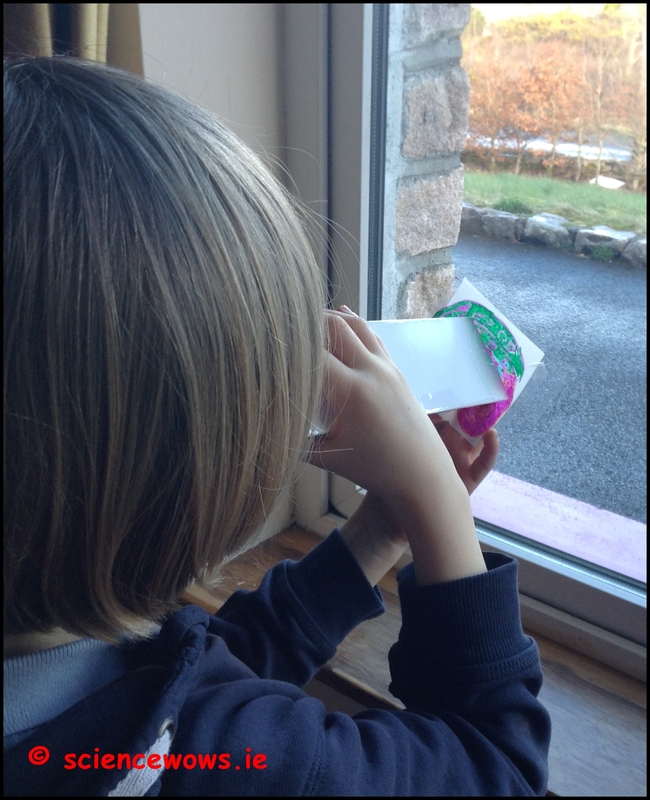 This will work better if you also add a layer of clear plastic on top of the foil… creating a better mirror!